Item # 313924 Stash Points: 2,995 (?) This is the number of points you get in The Zumiez Stash for purchasing this item. Stash points are redeemable for exclusive rewards only available to Zumiez Stash members. To redeem your points check out the rewards catalog on thestash.zumiez.com. 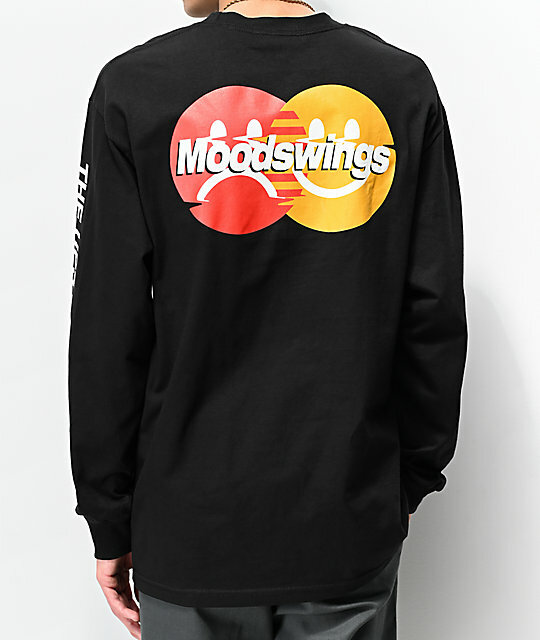 Spend your money right on the new Masterpiece black long sleeve t-shirt from Moodswings. 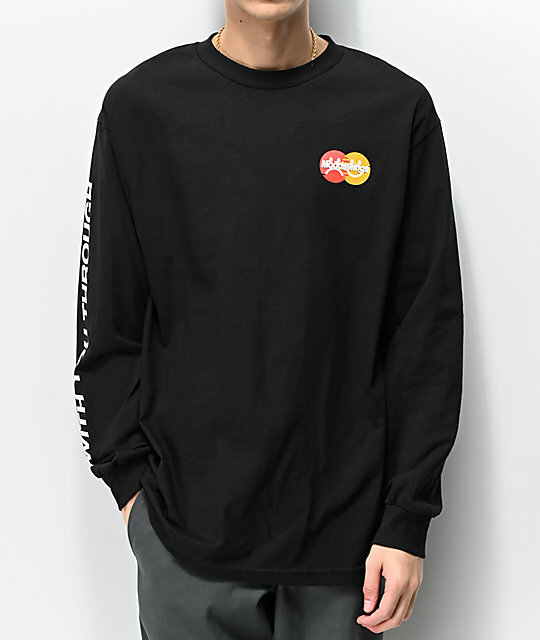 This tee features matching graphics on the left chest and back of red and yellow circles displaying a sad and happy facial expression with the word Moodswings through the center all made to look very similar to a credit card you may or may not have used in the past. 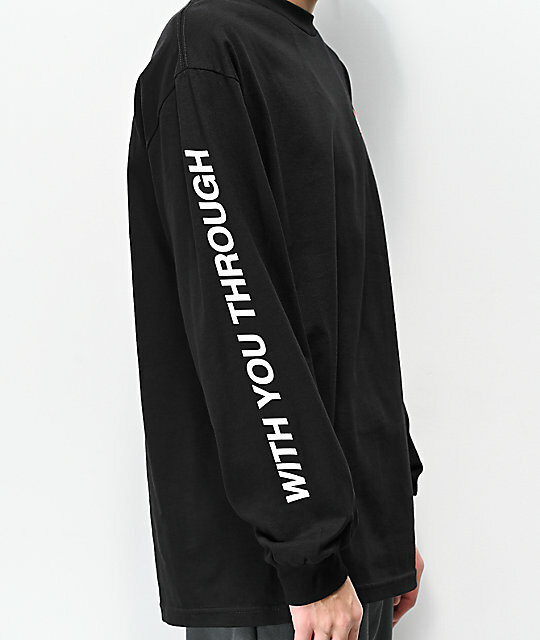 The sleeves are adorned with the words "WITH YOU THROUGH" up the right sleeve and "THE UPS & DOWNS" on the left sleeve in white block print. 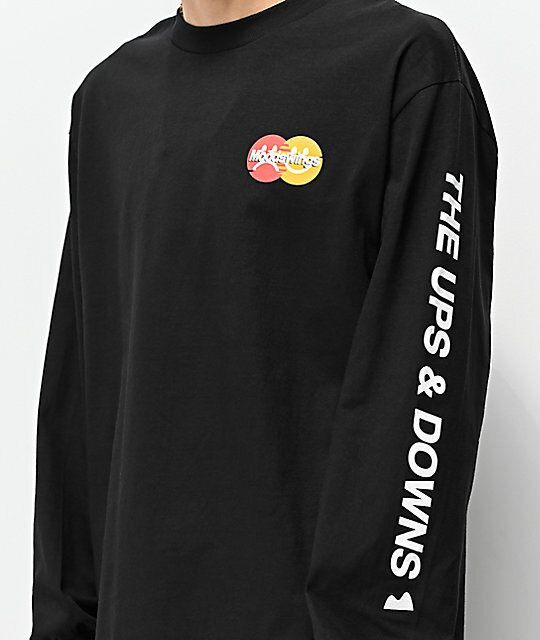 Masterpiece Black Long Sleeve T-Shirt from Moodswings. Screen printed graphics at the left chest, back & down both sleeves.